This study chronicles the life and career of Ellen Stewart and her experimental theater, Cafe La Mama. Once an accomplished Black fashion designer, Stewart--with no experience in theater--founded and developed one of the most influential experimental theaters in the world. 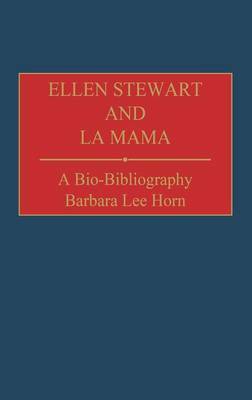 The volume includes a short biography, a chronology of the most significant events related to Stewart and La Mama, a record of the more than 1400 plays produced at La Mama, and an annotated bibliography. Appendices list La Mama's Obie awards, awards won by Stewart, and shows directed by Stewart. The volume presents a fascinating account of the physical, emotional, and political conditions surrounding the history of Cafe La Mama, while focusing on a Black American artist who boldly forged a niche in an area previously inaccessible to Black women.